The Prins Hendrikdike at Texel, the dikepart between the NIOZ and Oudeschild, no longer meets the legal safety requirements. The dike will be reinforced in a unique way with sand. 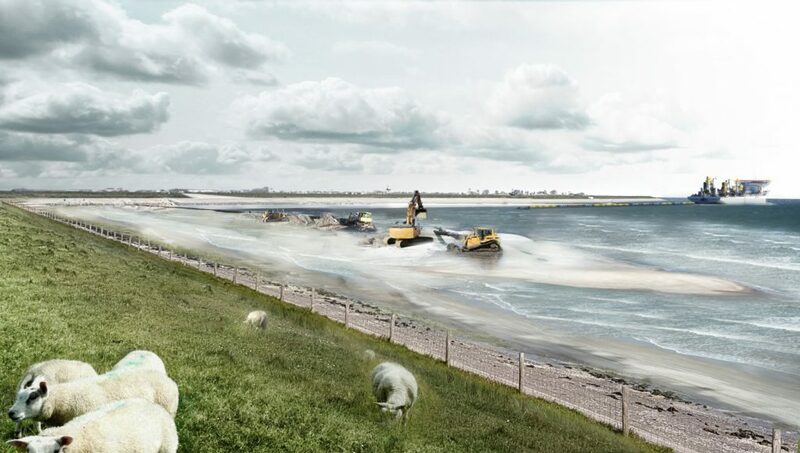 Starting October, Jan de Nul NV has been awarded the contract by Hoogheemraadschap Hollands Noorderkwartier to install a safety dike along the existing dike. Deep has been invited to conduct the so-called T0, Tx and MJO-I surveys before, during and after the activities. Subsequently Deep will conduct the UXO (research on unexploded ordnances) surveys for this project. “The reinforcement of the Prins Hendriksanddike is the result of a flood defense control in 2006, where all dikes at the Wadden Sea side of Texel have been rejected”, tells Jan Fordeyn, Technical Manager at Jan de Nul NV. 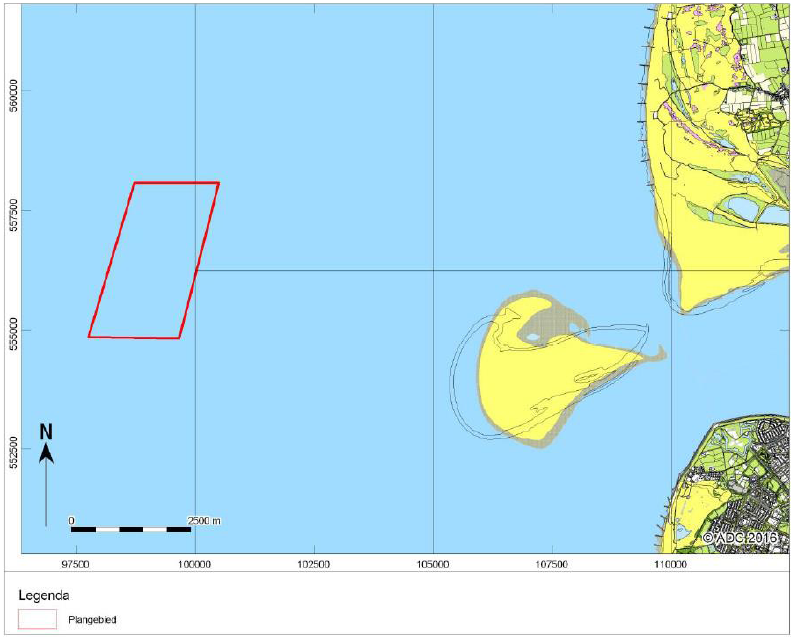 As reinforcement, a varied sandy area with dynamic character will be situated before the current Prins Hendrikdike, fitting to the Wadden region. This ‘natural’ way of reinforcement ensures that the flood defense is brought to the required strenght and tthat no agricultural land or buildings are lost. 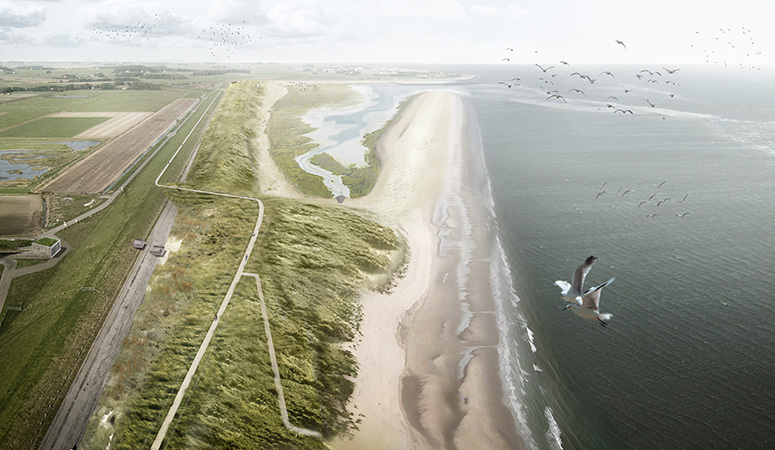 This creates 200 hectares of new nature in the Wadden area. “The sand that is being used for the construction is extracted in two areas in the North Sea, In het area near Den Helder, grains are extracted with which is the largest part of the dike is realized. For the outer layer – that is being exposed to waves and currents – a larger grain is used. At these sandwin areas Deep carries out a survey and an UXO (unexploded ordnance) survey. To measure water depths with full coverage, and to map the seabed, Deep used an R2Sonic Multibeam system. The shallow parts were surveyed with a Single beam system. Subsequently, the seabed was detected for magnetic anomalies. This is realized with multi-magnetic sensors on a Remotely Operated Towed Vehicle (ROTV). The multi-array magnetometer set-up consisted of 6 x geometrics G882 cesium vapor marine magnetometers. 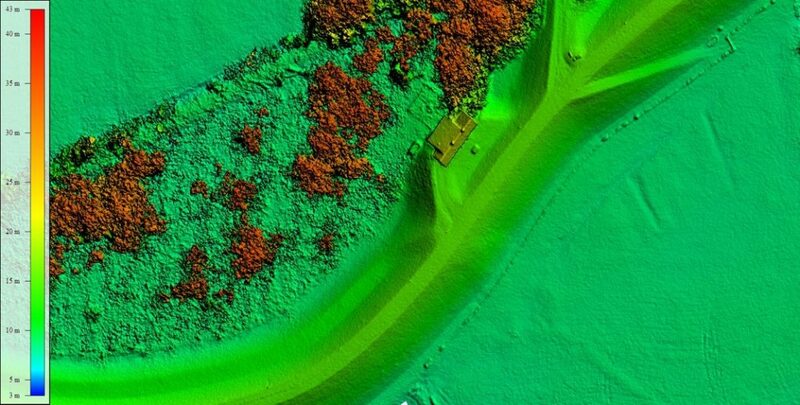 In addition, high resolution side scan sonar images were created. The detection is designed for tracking down 20 kg of ferrous mass up to a depth of 2 meters in the seabed and tracking down 50 kg of ferrous mass to a depth of 4 meters in the seabed. The suction hopper Bartolomeu Dias will apply the sand in the second half of 2018, after which Jan de Nul will start with the landscaping of the surroundings. During the realization of the Prins Hendriksanddike, Deep carries out seven Tx measurements, consisting of a multibeam survey of the sand extraction area supported by a UAV survey of the project area. 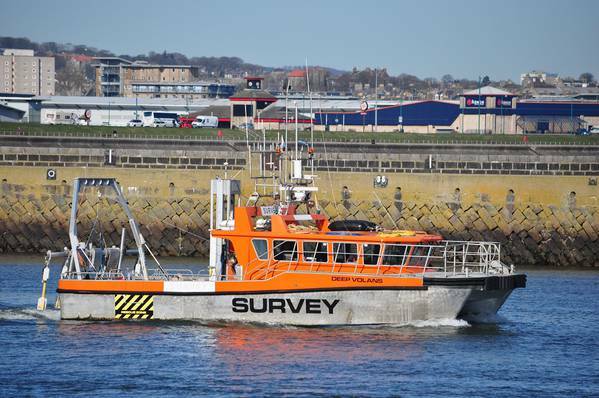 The UAV survey is carried out by Skeye BV, using an unmanned aircraft to create a height model.